the gritty side of Appalachia and beyond. In August 2016, twenty punk bands, 200 fans, a group of vendors, came out to Dante's in Frostburg, Maryland for a festival of punk music, punk culture, and art. Focusing on the wide variety of punk rock, the Festival brought the horror punk theatrics of Baltimore's Pain! the street punk oi of The Last Call Hooligans, the thrash of Massachussett's The Moneys, the power pop punk of DC's The Combs, the straight ahead punk of Morgantown's Jet Set Vapour Trails, and the power rock of New York's The Nuclears to Main Street. In 2017, punk rock legends The Undead, featuring original Misfits guitarist Bobby Steele, take the Dante's stage along with the Independents, Pittsburgh legends the Mud City Manglers, and more join the fun. Located two hours from Pittsburgh, Baltimore, Harrisburg, and DC, the Festival is centrally located and dedidcated to bringing an inexpensive and powerful punk festival, old school style. Two-day passes are $30.00 in advance. Advance tickets available through Eventbrite here! 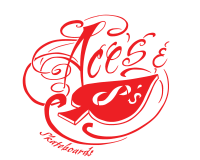 Aces & 8s Skateboards brings their crew up for an afternoon of skateboarding in a temporary skatepark behind Frostburg's City place. Skate with the pros, hang out, listen to some killer music, and watch them shred. Check out their YouTube Page here.